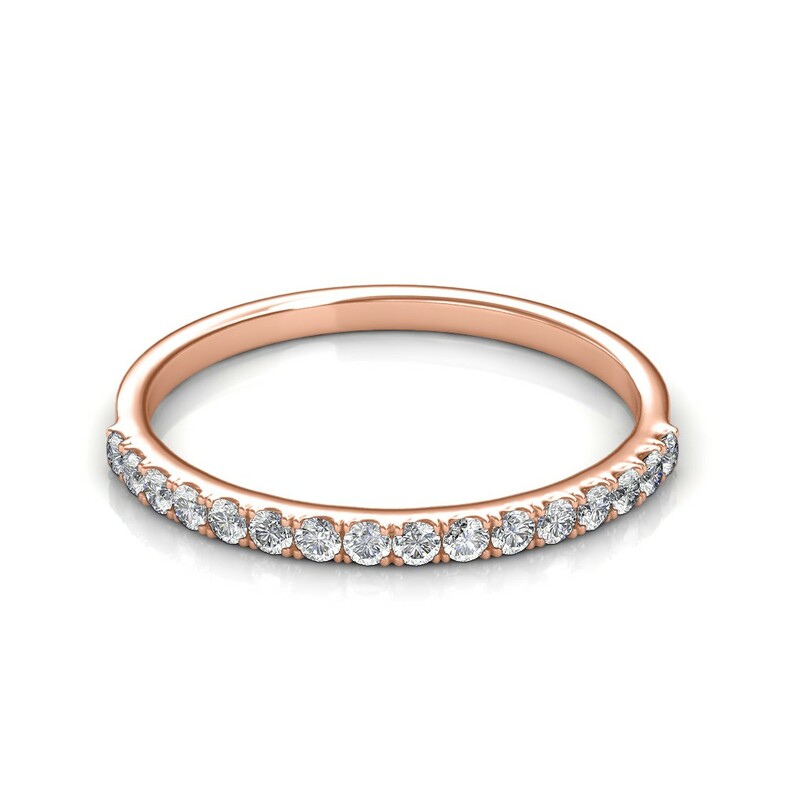 Women's Wedding Ring in Rose Gold with 16 pcs, 0.16 carat diamonds, micro pave set in half eternity style, certified by IGI - International Gemological Institute. 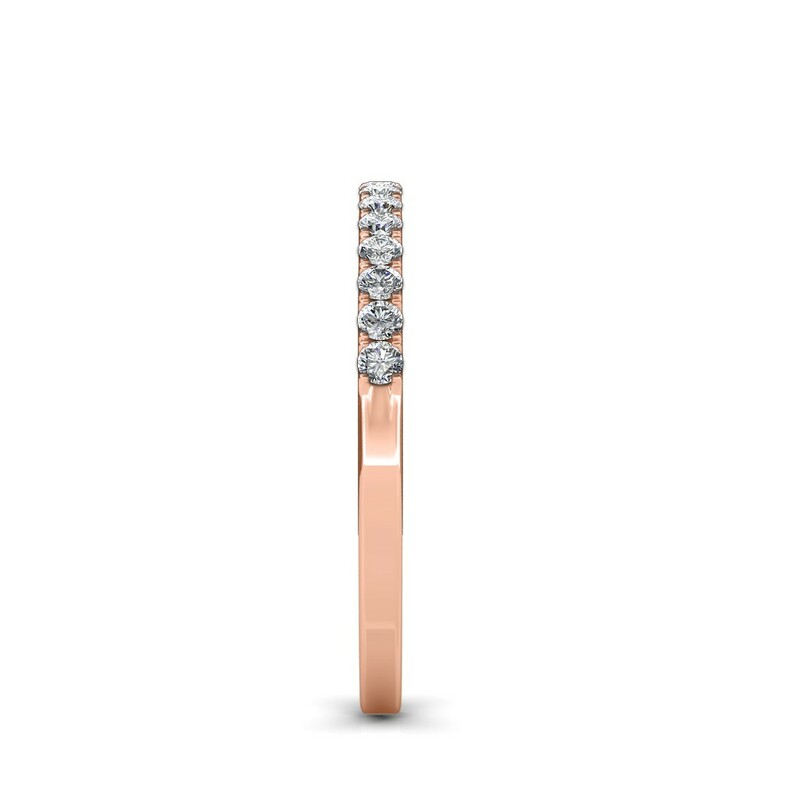 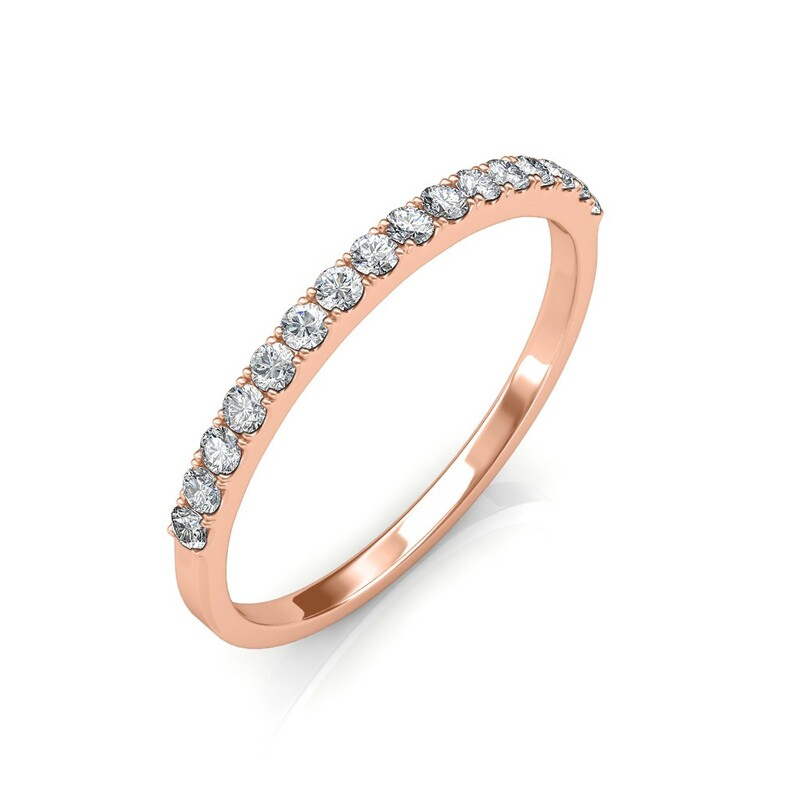 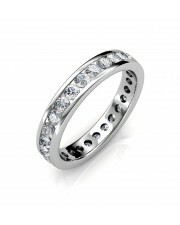 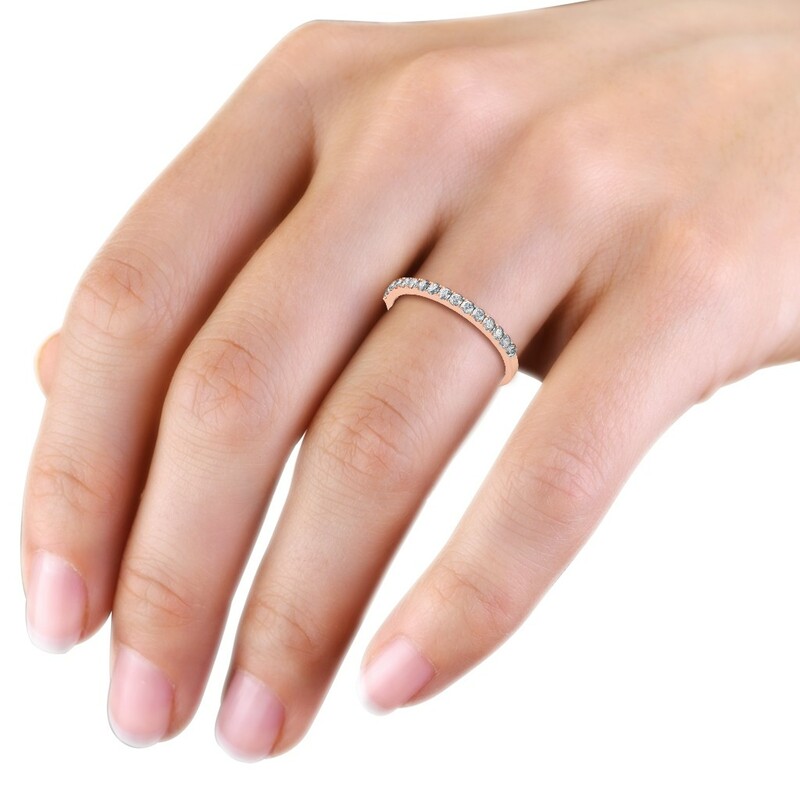 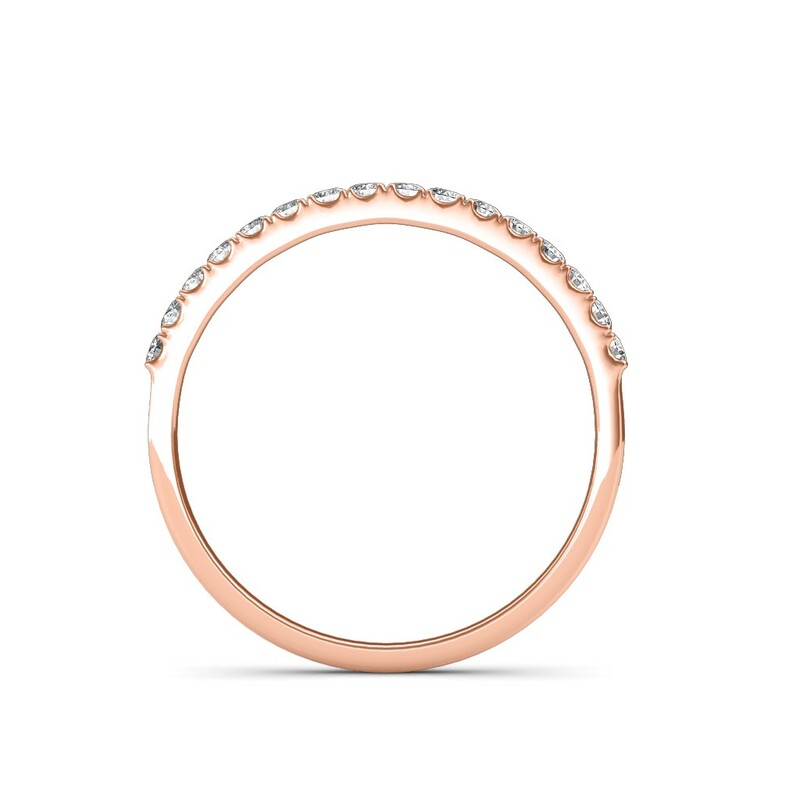 This wedding band is an ideal accompaniment to your solitaire ring. 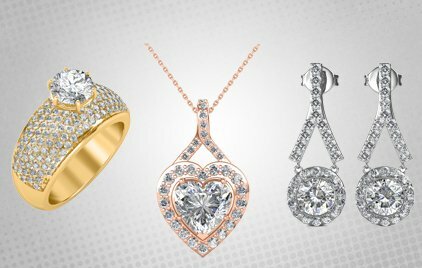 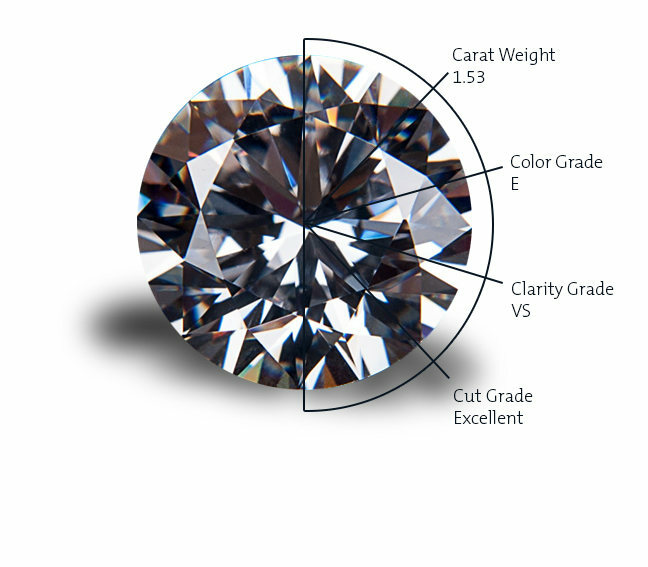 To customize], please contact our jewellery consultants.